Chief Marketing Officer, Advisor, Board Director. 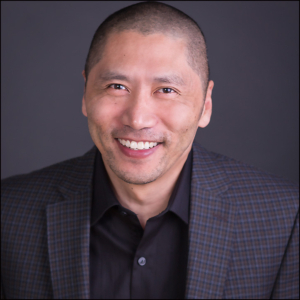 Al Leong is an award-winning CMO, Advisor and board director with 27 years of experience delivering insights and solutions. Clients include technology, education, entertainment, and telecommunications firms. Al started his career at O&M Direct in Seattle, assigned to Microsoft’s $40 million account, and to Intel and Visio. Later, Al helped manage a $20 million licensing portfolio at Sun Sportswear that included MLB, Scholastic, Collegiate Sports, Warner Bros., Disney and DC Comics selling through to Walmart, Target, Kmart, JCPenney and regional retail chains. Today, whether in the role of CMO, Advisor or Co-Founder of TGE Marketing & Advisory, Al is focused on inspiring high-performance teams to deliver results. He helped the agency CEO of SMG drive sales from $5 million to $12 million in five years, grew Three Towers Residential’s assets under management from zero to $7 million in under five years while earning an “A” rating from the BBB, and launched products at global press and analyst events for Apple, Adobe, Disney and Sony. Al also participated in the launch of IBM’s e-business campaign. He has consulted global executives at Siemens on a business impact project driven by the Kyoto Accord, and made strategic marketing recommendations vis-à-vis competitors General Electric, ABB, Philips and Hitachi. He is focused on results and impact in places where it is most needed, including delivering an 18% year-over-year sales lift and a 2,495% ROI for a social enterprise, and raising USD $35 million for a New York Fintech firm based in 5 months. Emotional intelligence and inspiration drive Al’s performance and creative management style. He founded a design studio in the early 90s and worked with clients such as Ramada Hotels, BC Hydro, Xerox and Disney. In the early 2000s, he developed powerful branding campaigns at his marketing communications agency, Integeris Marketing, for clients from San Francisco and Los Angeles to New York and Saudi Arabia. He is accustomed to leading a creative and management teams of up to 15 and over 50 contractors. He won 5 awards in 3 years for his client Tamwood International College in global marketing campaigns. Al has delivered creative messaging, thematics and production for Adobe, Apple, Buena Vista Pictures, Digital, Disney, Hewlett-Packard, IBM, Intel, Kodak, Motorola, Palm, PowerPC, SGI, Sun Microsystems, the U.S. Department of Defense, WebTV and Xerox. He believes in insights-driven marketing that substantiates marketing decisions to reduce risk and increase profitability and ROI. For Coldwell Banker, Al analyzed data from the Toronto Real Estate Board to understand the impact of home staging services on home sales. Al conducted multivariate testing on social media platforms to optimize creative messaging and visuals on global marketing campaign for an educational institution. Since late 2000, Al managed a roster SME technology accounts, was the Senior Marketing Director in charge of $2 million in agency billings, and was VP Marketing and Business Development executing a $5 million roadshow spend. Al has been active in communities. In 2013, he researched issues of immigration, entrepreneurship, and commercial real estate legislation, and managed web and communications, including crisis management consulting, for a Member of the BC Legislative Assembly (MLA). He sat on the Board of Directors of AIDS Vancouver, the Burnaby Hospice Society and Metro Vancouver Crime Stoppers. Al also chaired the communications committee for the BC NDP Constituency Association; was Director, Vision for the BC Chapter of the American Marketing Association; and was Director, Interactive for the Toronto Chapter of the American Marketing Association. He is a past volunteer member of the Marketing Hall of Legends Canada and served on the marketing subcommittee for the Canadian Employee Relocation Council. Al actively participated in the San Francisco, San Jose, and Silicon Valley chapters of the American Marketing Association, and sat on the marketing steering committee for Vancity, a credit union with $27 billion in assets under management (AUM). He was a scrutineer for Toronto City Councillor Adam Vaughan and former MP Olivia Chow. Al has also volunteered for the Toronto Humane Society, the Human Rights Campaign Atlanta, Maitri Compassionate Care, the San Francisco Department of Public Health and the Remedy Celebrity Winterfest Special Olympics. Like this blog? Please spread the word.